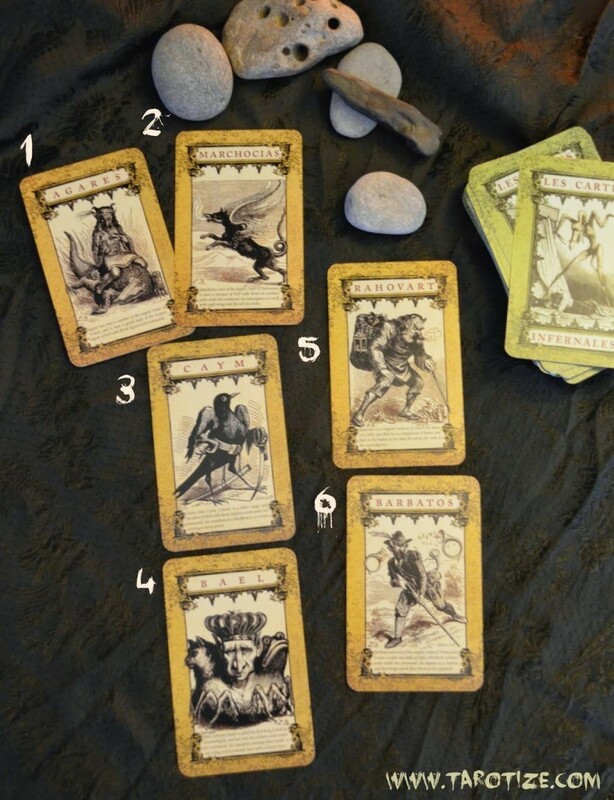 I first stumbled across the visually appealing Daemon Tarot on tumblr and decided I had to have it, not knowing if I would be able to divine with it or not. This is not a Tarot deck at all, by the way, as the guide book clearly states. It’s a 69 card oracle – each card depicting a demon/daemon. After looking through the images and reading snippets from the guide book, I’m still not sure if this deck is readable even though the antique images by Louis Breton are really cool. 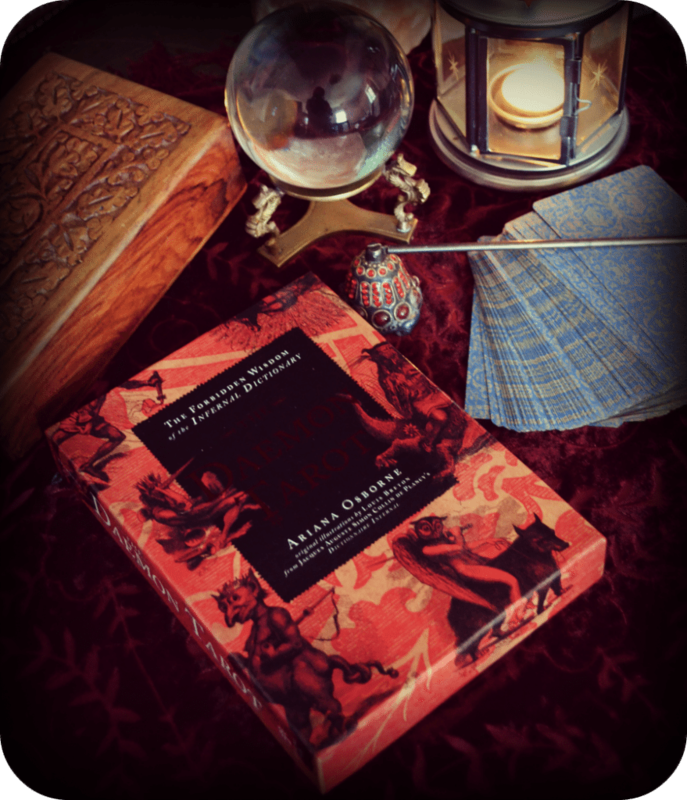 There is a brief introductory snippet about each daemon in the book by Ariana Osborne but the actual divinatory guidance is scant (only one sentence for each card). However, Osborne does encourage the reader to come up with their own meanings. Me: I get a feeling that this deck comes in handy if I should find myself under fire? Is that right? Me: Aha… So… umm… can you guarantee you won’t be playing tricks on me when I come to you for help. DT: The gift of premonition. Me: Hey, that’s pretty nifty… considering you’re an oracle and all. But I get a feeling that the gift may surface at other times than the actual reading, through observance of signs in nature etc. Is that correct? DT: That’s a distinct possibility. Me: Thank you, Daemon of the Daemon Tarot. I feel the presence of the Horned God here more than that of the Christian version of Satan and his demons. One last question… Are daemons evil and anything like the Christian Devil? DT: That’s like asking if humans are. Some are. You can be pretty evil too at times. Ss for the Christian Devil… Surely you know by now that he is a figment of projections?